Investors on Tuesday are likely to keep an eye on the 34th GST Council meeting, due later in the day. Investors on Tuesday are likely to keep an eye on the 34th GST Council meeting, due later in the day. According to news reports, the council will discuss and finalise the rules under which the new rate structure on under-construction houses will be implemented. Also, aviation watchdog DGCA will meet with airlines to discuss the upward spiral in airfares as Jet Airways continue to ground its aircraft and cancel a significant number of flights. On the global front, the US Fed will begin its meeting on interest rates today, which ends with a news conference on Wednesday. Moreover, Prime Minister Theresa May's Brexit deal suffered new blow after Britain’s parliament banned another vote on same Brexit deal. Back home, investors will also focus on foreign fund inflows, movement of rupee against the US dollar, and stock-specific action. The Indian rupee yesterday hit an eight-and-a-half month high of 68.53 a dollar on increased portfolio flow. Overseas investors have already poured Rs 22,340 crore into domestic equities this month. 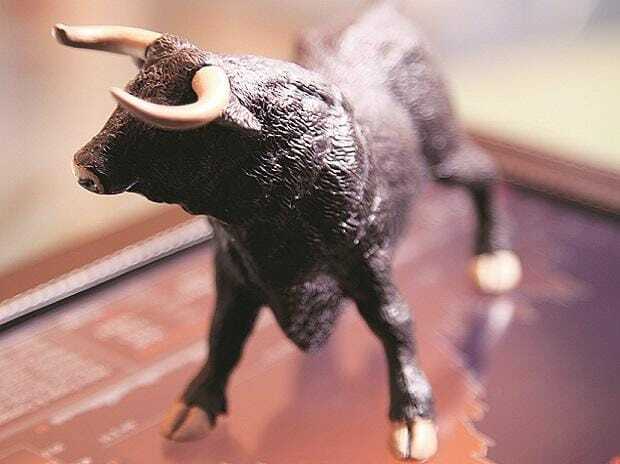 The S&P BSE Sensex added 71 points or 0.19 per cent to settle at 38,095 on Monday while NSE's Nifty50 index ended above 11,400 level at 11,462 with 31 components in the green and 19 in the red. Asian shares treaded water on Tuesday ahead of a U.S. Federal Reserve policy meeting, hovering near six-month highs. MSCI’s broadest index of Asia-Pacific shares outside Japan was virtually flat, just a hair away from the highest level since September 21. Japan’s Nikkei average dropped 0.5 per cent, while Australian stocks eased 0.1 per cent. In the commodity market, oil prices hovered just below 2019 highs early on Tuesday, supported by ongoing supply cuts led by producer club OPEC. Larsen and Toubro, Mindtree: Larsen & Toubro has made an offer to buy up to 66 per cent stake in the Mindtree for around Rs 10,800 crore. Reliance Communications: The Anil Ambani-led firm has made the payment of Rs 458 crore to Ericsson as per court orders. Also, the company and Reliance Jio have terminated their agreement for sale of specified assets by mutual consent. Jet Airways: Etihad has refused to agree on the contours of the rescue plan for Jet Airways, according to a report. Hotel Leelaventure: The company has agreed for a slump sale of four hotels, property in Asia and hotel management contracts to Canada's Brookfield Asset Management. Pidilite Industries: Chief financial officer P Ganesh has resigned. Canara Bank: The bank has said it will raise long term foreign currency funds worth $500 million by issuing senior unsecured bonds in the international markets, according to reports. Adani Ports: The company's board has approved NCFs buyback worth Rs Rs 1,400 crore from the existing debenture holders, as per report.